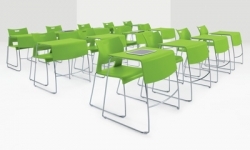 Easy to configure, stack, and store tables, that easily turn any space into an effective learning environment. 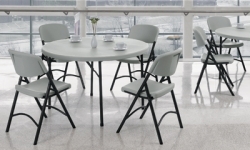 Create common areas indoors and out with lightweight, weather resistant tables. Mix and match table tops in a variety of shapes and sizes with square or round bases for multi-purpose use. 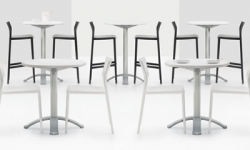 A refined, contemporary collection of coffee/end and meeting/dining tables. 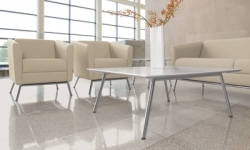 A range of table top, base, edge and laminate options to suit any business environment. 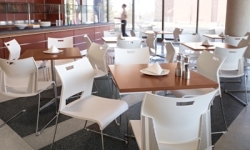 Durable and practical for temporary or permanent utility and multi-purpose cafeteria needs. Lightweight, water resistant tops with steel folding legs for easy storage.